The defensive line has been broken as Nathan Hughes goes through the gap. What a run here by Nizaam Carr as they gets over the gainline!. Exeter have won 140 rucks so far this game. Lima Sopoaga has made 10 good tackles so far this game. Gaby Lovobalavu has made 10 good tackles so far this game. Josh Bassett makes the break as the defence re-enacts the parting of the red sea. Joe Simmonds adds the two points for Exeter. Alec Hepburn sets up the try. Jack Yeandle scores the try from close range. Joe Simpson has made 20 good tackles so far this game. Nizaam Carr has made 20 good tackles so far this game. Brad Shields has made 20 good tackles so far this game. Exeter decide to make a substitution, with Jack Maunder getting some game time. Exeter decide to make a substitution, with Nic White being replaced. Exeter make a substitution with Richard Capstick coming on. Exeter make a substitution with Dave Ewers coming off. Wasps sub Simon McIntyre comes onto the field. Zurabi Zhvania departs for Wasps. Lima Sopoaga has hooked the conversion to the right of the posts. Spellbinding play by Gaby Lovobalavu is finished off with a try. A wonderful passing move by Wasps is finished off by Zurabi Zhvania. 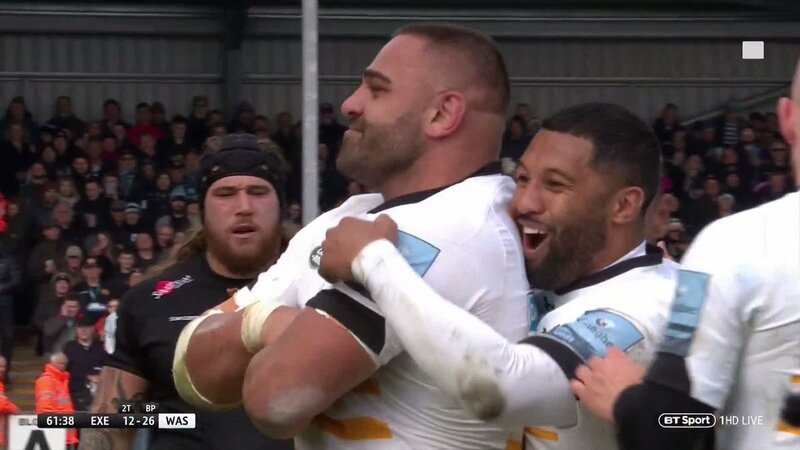 Fabulous play by Wasps has led to Zurabi Zhvania being able to wriggle through a gap. Zurabi Zhvania has made 10 good tackles so far this game. Sean Lonsdale has made 10 good tackles so far this game. Will Rowlands comes on for Wasps. Dave Ewers has made 10 good tackles so far this game. This is dangerous for the defence as Elliot Daly bursts through to advance the Wasps attack. 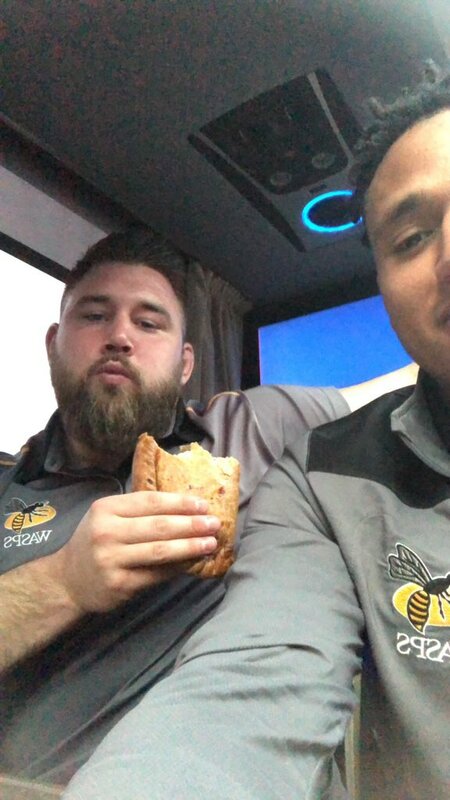 Wasps decide to make a substitution, with Kieran Brookes getting some game time. 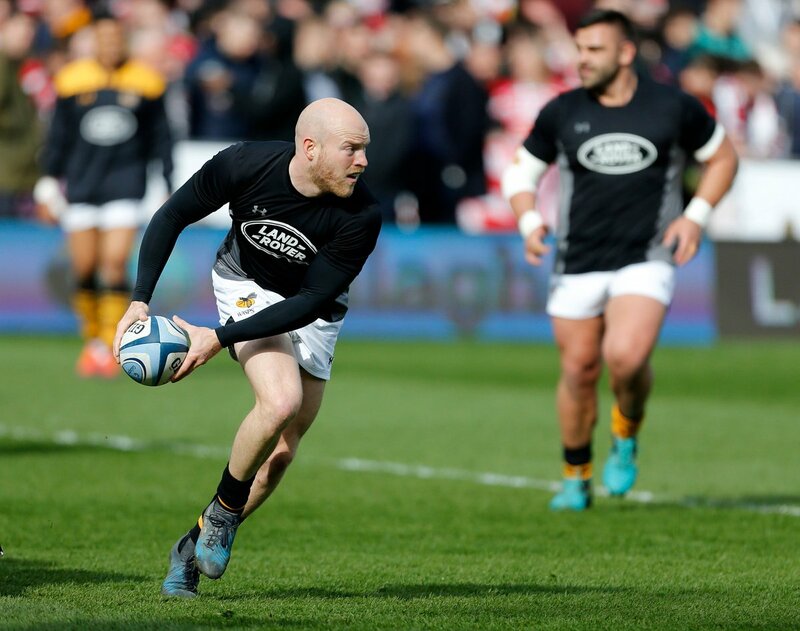 Wasps decide to make a substitution, with Jake Cooper-Woolley being replaced. Jake Cooper-Woolley has made 10 good tackles so far this game. Elliot Daly has made 10 good tackles so far this game. Wasps make a substitution with Josh Bassett coming on. Wasps make a substitution with Juan De Jongh coming off. Lima Sopoaga does the business as his conversion attempt goes over. What a kick! Marcus Watson takes full advantage to score for Wasps. Nathan Hughes played a key part in that try. 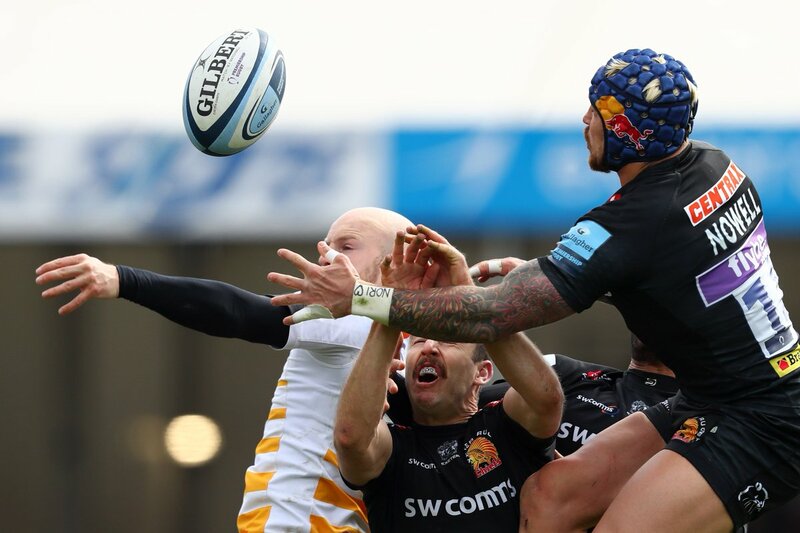 A series of passes by Wasps results in a try for Juan De Jongh. Wasps sub Juan De Jongh comes onto the field. Josh Bassett departs for Wasps. Brad Shields has made 10 good tackles so far this game. Elliot Daly converts the try. What a run here by Matt Kvesic as they gets over the gainline!. That's a great try assist by Marcus Watson. 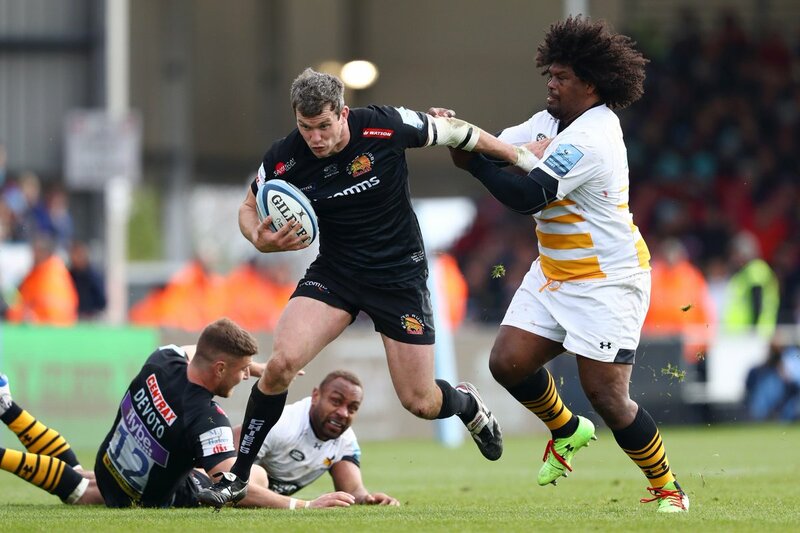 Fabulous play by Wasps has led to Gaby Lovobalavu being able to wriggle through a gap. Joe Simmonds has kicked a conversion. Exeter are only a few metres out, surely they must score! And they do with Nic White touching down. Trouble here as Olly Woodburn breaches the defence. Ian Whitten comes on for Exeter. Santiago Cordero leaves the field. A gap opened in the defence and Santiago Cordero took full advantage. There wasn't enough power on that conversion attempt by Joe Simmonds as it drops short of the posts. The kick through from Exeter has allowed Jack Nowell to touch down. The defensive line has been broken as Jack Nowell goes through the gap. 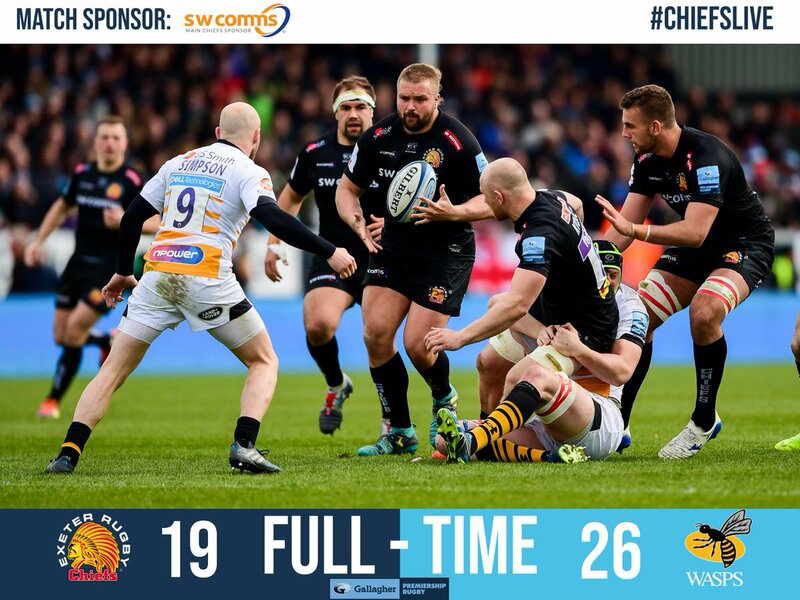 @ExeterChiefs Thanks and well played. Hopefully it's not our last meeting of the season! 📊 Looks a bit better this evening right? That’s the end of the live twitter stream. @Steve_Parrett saying good night and have a great week. 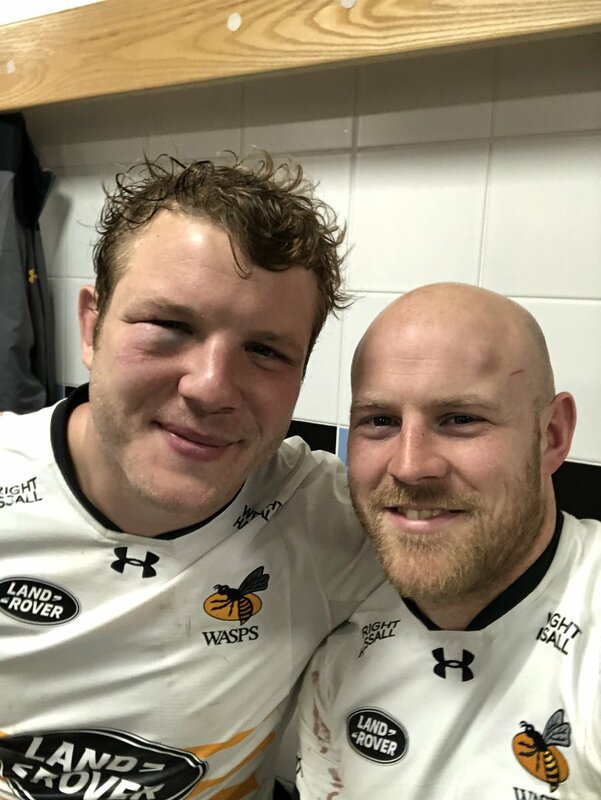 Congratulations to @WaspsRugby on a well-deserved win. Safe trip back to the players and supporters. 80' Nizaam on the break and we're 5 metres out!!!! 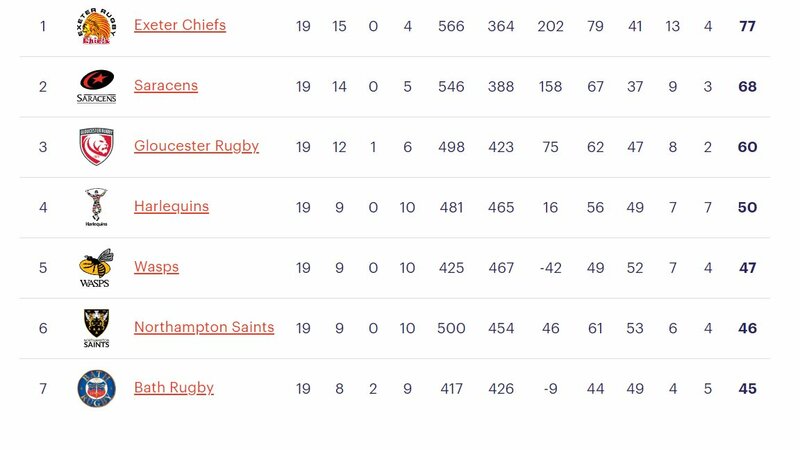 Could we be witnessing a first ever win at Sandy Park?!!! WASPS TACKLE THE MAN TO TOUCH WITH 25 SECONDS LEFT ON THE CLOCK!!!!!!!! 79' Loose ball is somehow kept in but Chiefs have it just inside their half!! !